The past few months I've spent a lot of time focusing on how to paint clouds, the shapes, the colors, the way they travel across the landscape. I painted quite a few little paintings and felt happy about the outcomes. You can see some of them in my Etsy Shop. When I finally tired of painting clouds, I decided to focus on seascapes, a subject I had not spent a lot of time with in spite of the fact that I live near the coast. My mother was a seascape painter and I always felt she did a wonderful job, but I was a bit intimidated with the idea of following in her footsteps. Then I tried a few little ones. 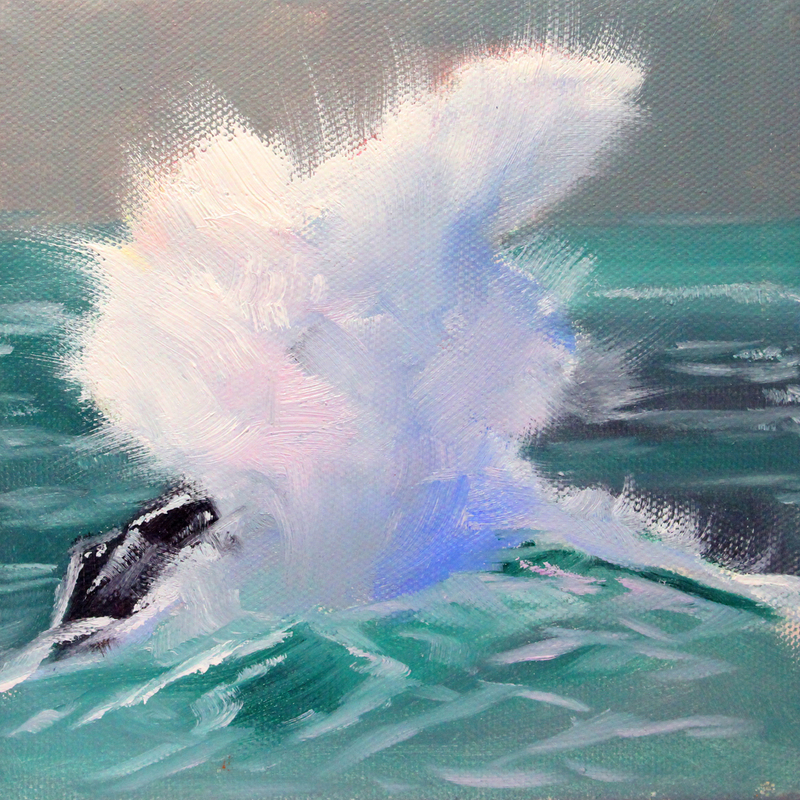 What I learned was that painting splashes is not unlike painting clouds. Logically I should know this, after all, clouds are made of water. 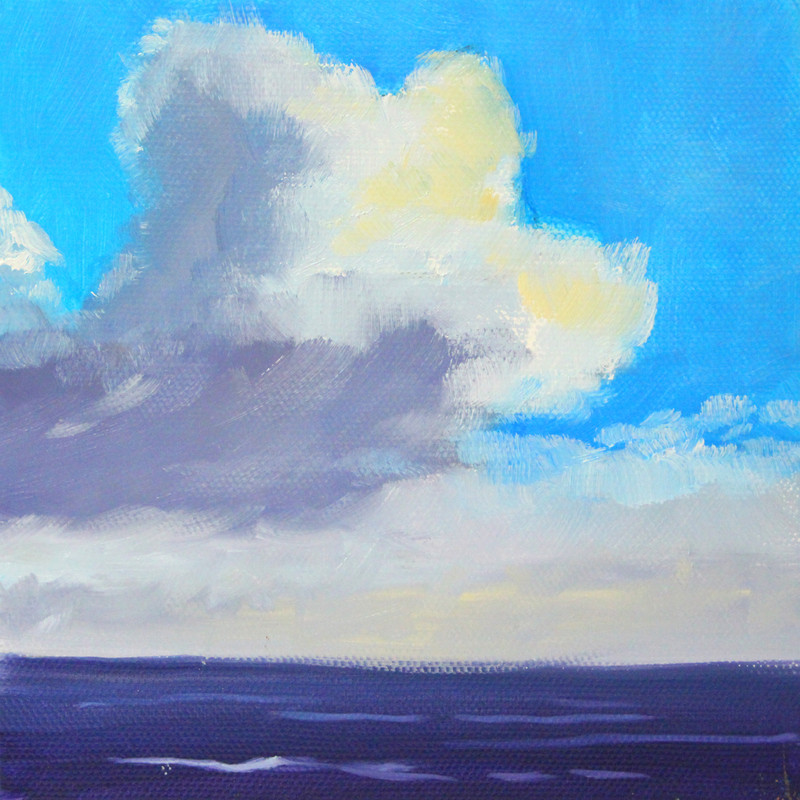 So recently I've been experimenting with some little seascape paintings. So much fun. A couple of them have found their way to my Etsy Shop, others are still sitting on my drying rack and will eventually join the one above. Lesson learned: look for similarities, not just differences.